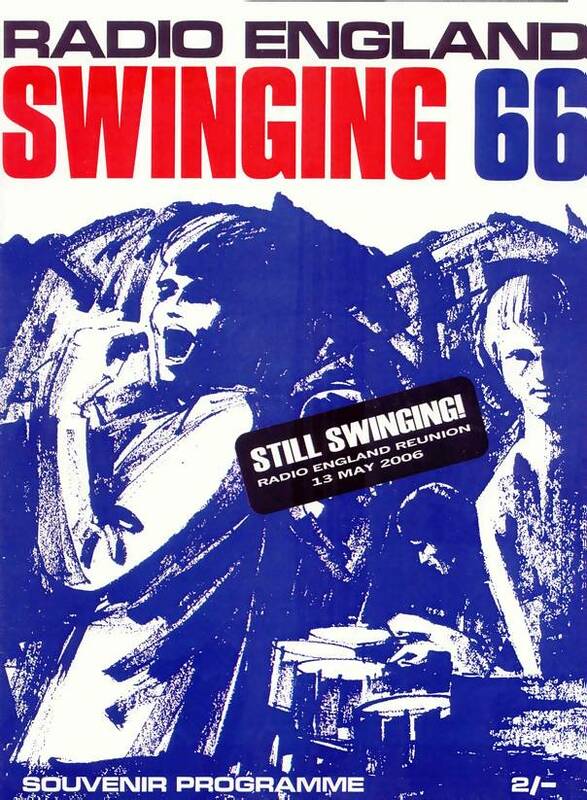 Grey Pearson brought some reproduction copies of the Swinging 66 tour programme as gifts for the reunion guests. He's in. He's on. Johnnie Walker. 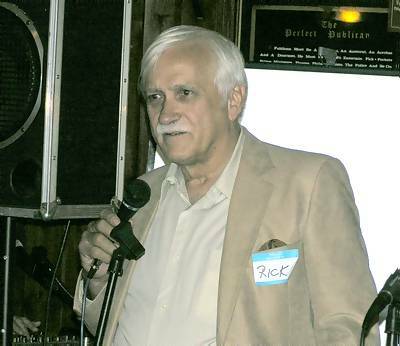 Rick Randall and Roger Day. 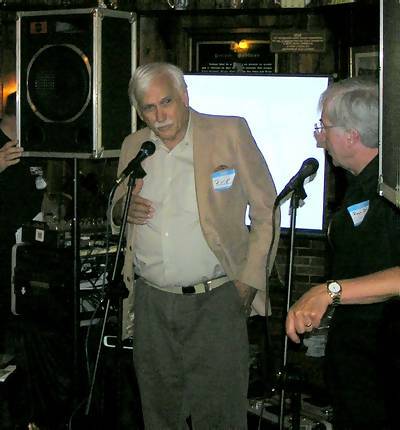 John Ross-Barnard takes his leave. 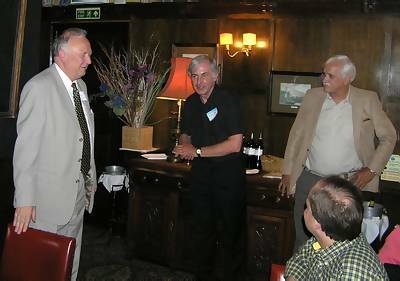 Also in the photo, Roger Day and Rick Randall. 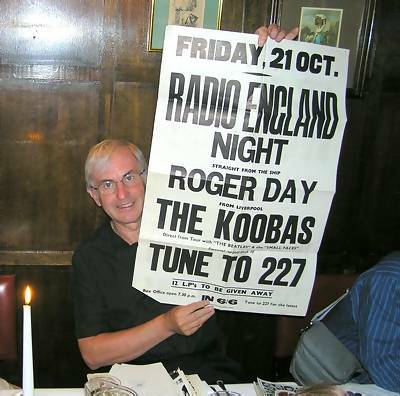 Britain Radio's Phil Martin with Roger. The next day, a bit of sight-seeing. Rick Randall and Phil Martin on the tourist trail. Photo courtesy of Gil Aris. 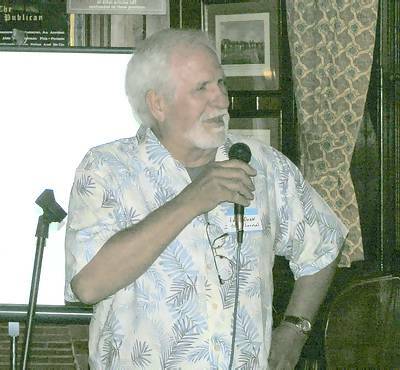 Larry Dean looks through a copy of Offshore Echo's magazine. Roger Day with a vintage poster. During the afternoon some of the DJs paid a visit to Radio England's old offices at 32 Curzon Street. 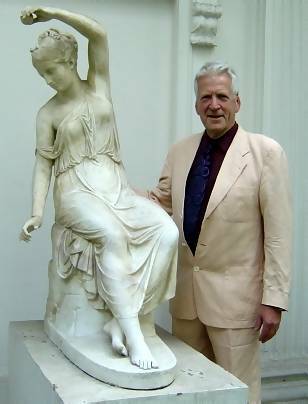 Phil Martin took the opportunity to pose with the statue in the garden that had featured in his 1966 publicity photo. Thanks to Phil and Gil for the picture. 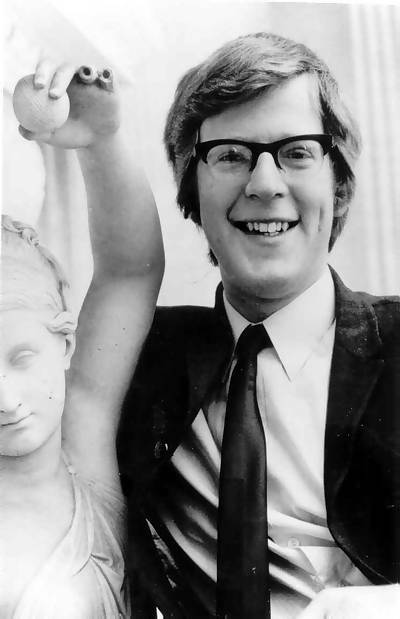 And here he is with the statue forty years ago. Phil has not shrunk since 1966. It is just that the statue has been put up on a plinth since then! 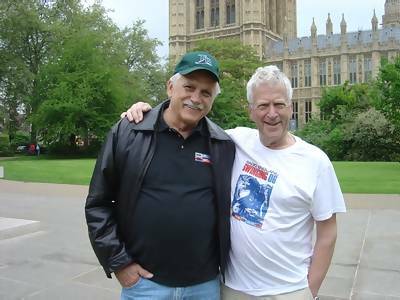 While he was in Europe, Rick Randall took the opportunity to visit another former ship-mate, Graham Gill, now living in Holland. Thanks to Rob Olthof and Hans Knot for the photo. 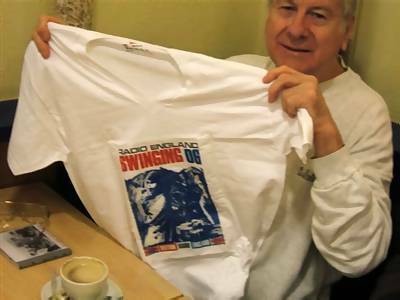 Graham Gill with a present from Rick - a new Swinging Radio England T-shirt. 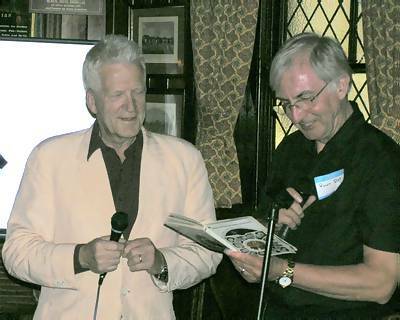 Thanks to Rob Olthof and Hans Knot for the photo. 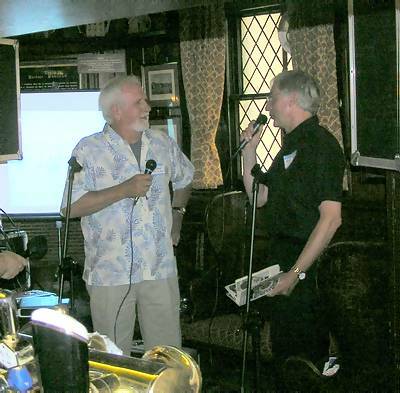 For more photos of the reunion, see the Offshore Echo's and Radio London websites. 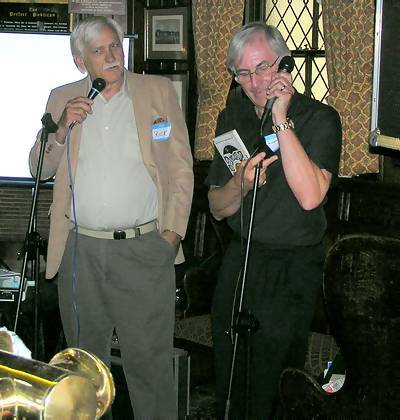 With many thanks to Grey Pierson for organising such a splendid event and for inviting The Pirate Radio Hall of Fame.